Simon & Schuster, 9781476782386, 352pp. 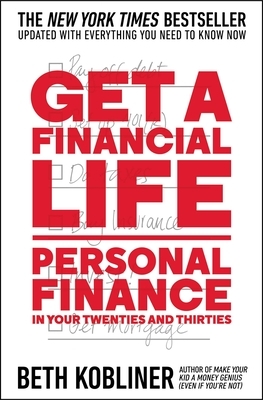 Beth Kobliner is a personal finance commentator and journalist, and the author of the New York Times bestseller Get a Financial Life as well as a book for parents, Make Your Kid a Money Genius (Even If You’re Not). Beth was selected by President Obama to serve on the President’s Advisory Council on Financial Capability for Young Americans, dedicated to increasing the financial know-how of kids of all ages and economic backgrounds. A former staff writer at Money magazine, Beth has contributed to The New York Times and The Wall Street Journal and has appeared on CNN, MSNBC, Today, Sesame Street, and NPR.